Eskuche and Nu Sky are New York City based DJs and producers who are very much setting trends in the new school world of underground tech house. 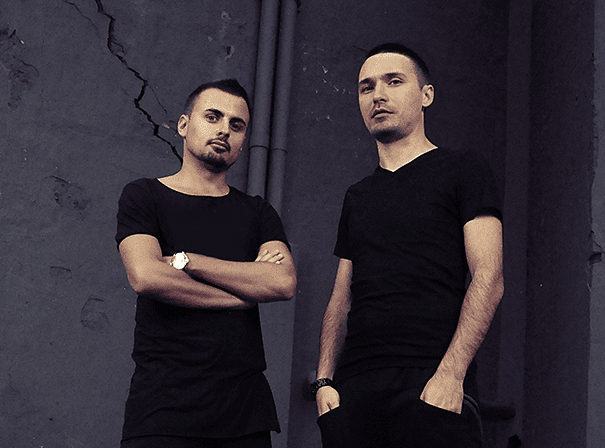 Both as DJs and producers they impress with a blend of contemporary sounds and signature groove, which together form a unique sound concept. Fat beats, growling bass lines, shamanic grooves and futuristic new school synthesizers are all felt racing through their music and as such crowds, dancers and DJs all love them. The pair have known each other since the early 2000s and are inspired by their native New York City scene. Since then they have released on legendary New York City label Nervous Records as well as on Wally Lopez Spain’s premier music group, Factomania and on TLK Rec/Talk Musique. Maya Jane Coles has been a big fan of the pair and has played their music at Richie Hawtin’s Enter parties in Ibiza, as has Marco Carola. _In 2014 Eskuche & Nu Sky got a big support from Jamie Jones, Lee Foss and Russ Yallop and released their debut EP on Hot Creations and it quickly rise to N 30 in Beatport top 100. In 2014 the guys also launched their own vinyl only label Gradus Records. So far the releases have sat pretty on Charts ardour the world and have been hammered at DC10 Ibiza by the Hot Creations crew. However, rhe best is yet to come with new music signed to a brand new label by Jamie Jones and Lee Foss – Emerald City – whilst they are also set to release on Crosstown Rebels Serial, Material and one more EP on Hot Creations in 2015.